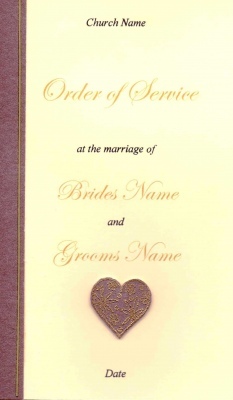 A cream card order of service featuring a brown pearlescent heart which has been embossed with gold finished off with a brown pearlescent panel with a gold trim. This order of service will have your wedding details printed on the front and your wedding service printed onto the insert. A sample is available.